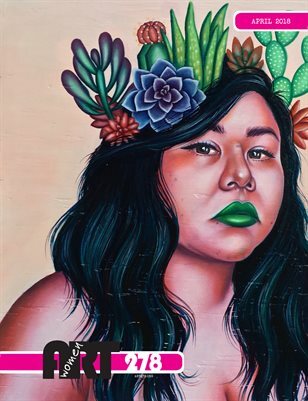 An international quarterly-published art magazine featuring women in the arts from across the globe and art genres. Cover page artists: Josie Del Castillo "Plant Therapy" (front), Laurie Rosenberg "Retro 23" (back). Thank you for supporting female artists.